Dr Kim Jacobson, lab head from the Monash Biomedicine Discovery Institute (BDI), has received the Bellberry-Viertel Fellowship for her work on epigenetic regulation of humoral immunity in health and disease. Infectious diseases such as malaria and HIV are responsible for causing more than a million deaths globally every year, and have so far evaded effective vaccine design. Vaccines rely on immune memory – the ability to clear an infection rapidly to a previously encountered pathogen. The majority of successful vaccines have relied on antibody-mediated immunity. Dr Jacobson and her team are investigating the mechanisms underpinning how immune cells are able to efficiently clear an infection before the pathogen has time to cause harm to the infected person. They’re also exploring why humans can’t form effective immune memory to chronic pathogens (such as HIV and the malaria-causing parasite Plasmodium). Dr Jacobson’s work with epigenetic modifiers investigates which genes are expressed, and which are silenced in this process and which epigenetic regulators are critical to combat infections and ultimately provide immunity. Dr Kim Jacobson said the Bellberry-Viertel Fellowship is career changing. “To be able to have the continuity and stability to focus on our research is fantastic,” Dr Jacobson said. 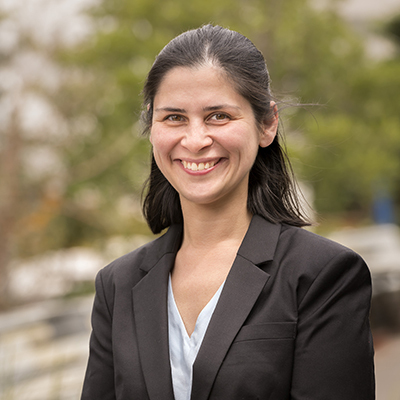 “For me, it means we can delve in deeper, exploring what goes wrong during chronic infections and reveal potential targets for clinical translation,” she said. $3.75 million has been awarded to three mid-career Australian researchers through the prestigious annual Sylvia and Charles Viertel Charitable Foundation Senior Medical Research Fellowships, in association with Bellberry Limited. Each Fellow will receive $1.25 million ($250,000 per year for five years) to support the critical work of Australia’s most outstanding mid-career researchers and continue the development of their expertise. For the third year, Bellberry Limited has funded an additional joint Bellberry-Viertel Fellowship to the same value – and Dr Jacobson was named the Bellberry-Viertel Fellow. Jodi Kennedy, General Manager of Charitable Trusts and Philanthropy, said Equity Trustees valued the partnership with fellow trustees Justice Debra Mullins (Chair), Rex Freudenberg, and Paul de Silva. “We are committed to supporting the objectives of the Viertel Foundation, and honoured to be a trustee of one of Australia’s largest charitable foundations which distributes around $8 million annually,” Ms Kennedy said. “This Foundation is a classic example of the power of philanthropy to fund incredibly worthwhile initiatives that have a real impact on our community,” she said. Two other Australian researchers were awarded 2018 Senior Medical Research Fellows: Dr Laura Mackay from the University of Melbourne, and Associate Professor James Ward from South Australian Health and Medical Science Institute. This article is based on a media release originally published by Equity Trustees. Read the full media release here. Click the link for more about the Sylvia and Charles Viertel Charitable Foundation and Bellberry.